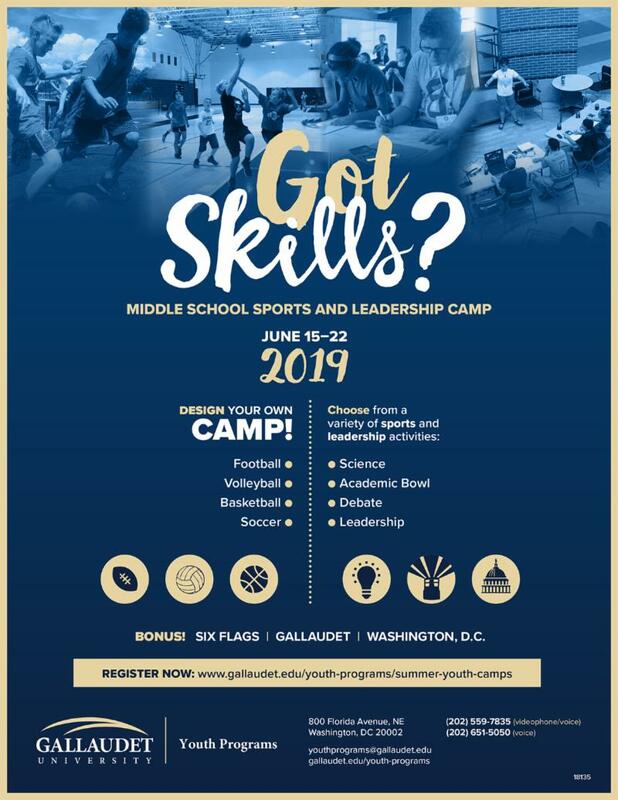 Check out what's happening at CSD! Junior National Association of the Deaf and CSD's leadership class came together for an inspiring weekend at California School for the Deaf. 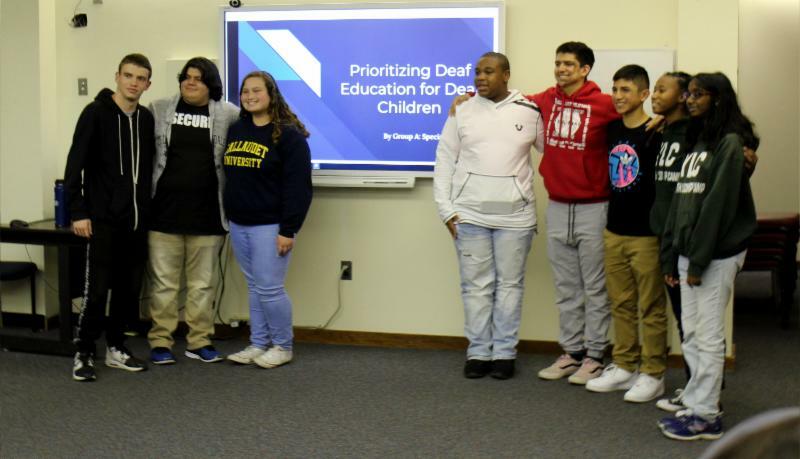 Teams got ideas and suggestions for their final presentations from Deaf community leaders David Eberwein, Julie Rems-Smario, and Raymond Rodgers. of ORANGE and BLACK ! 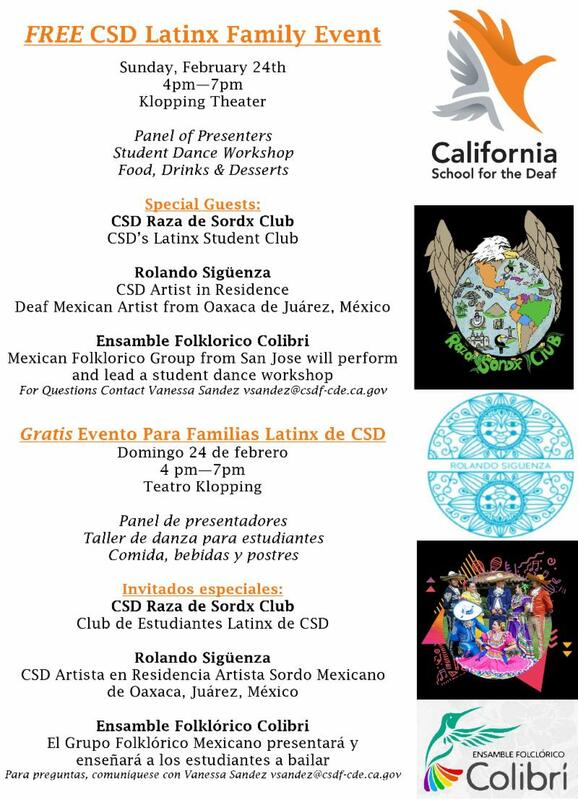 We kick off 2019 with this January edition of the CalNews ! CSD has experienced several magical months lately, and we are excited to share some of the highlights with you. To sum up the news in this edition: 'Leadership' and ' Relevance' were the themes for both December and January. 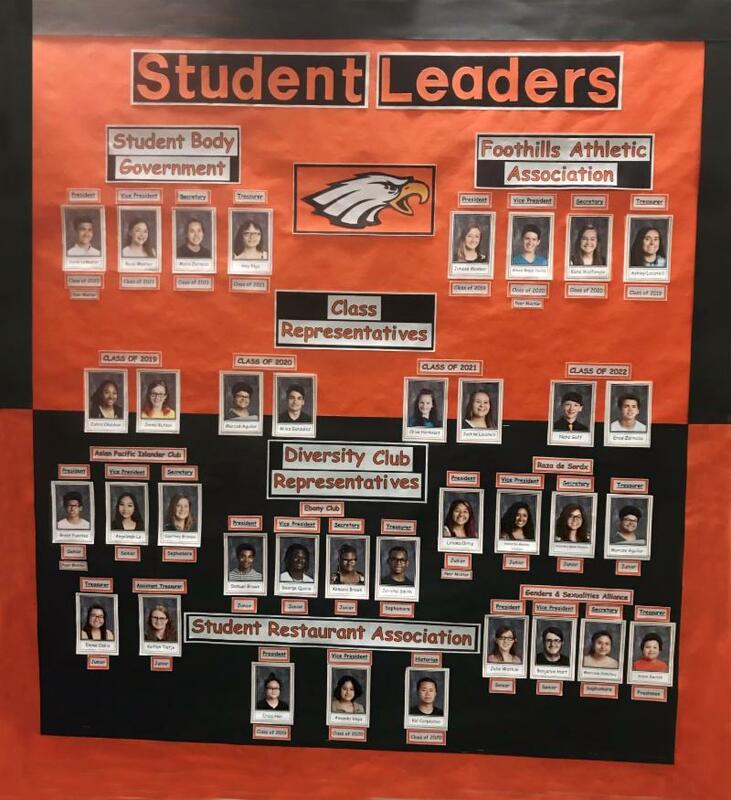 Leadership development among our students continues to be a core value of the school, and is a part of our Teaching and Learning values. It is very important that we prepare our students for any obstacles they may encounter. 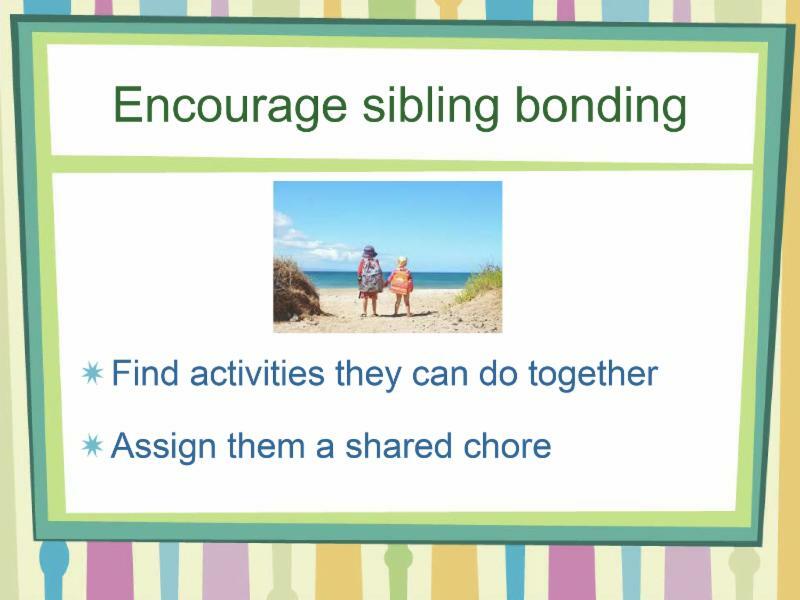 Students are encouraged to take the initiative to find resolutions to challenges they may face by developing collaborative relationships with individuals and organizations. This was the driving force behind the first annual Leadership Retreat between CSD and CSDR (Fremont and Riverside) students! 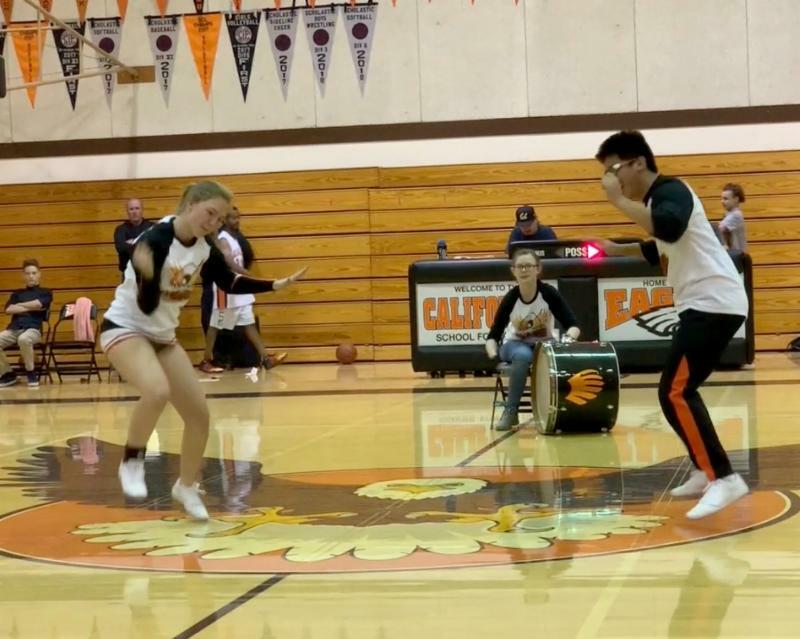 During the Battle of California weekend, CSD spearheaded our first Leadership Retreat with 57 student leaders from CSD and CSDR in attendance. The student leaders engaged in leadership activities, presentations, and discussions on how to better the community. 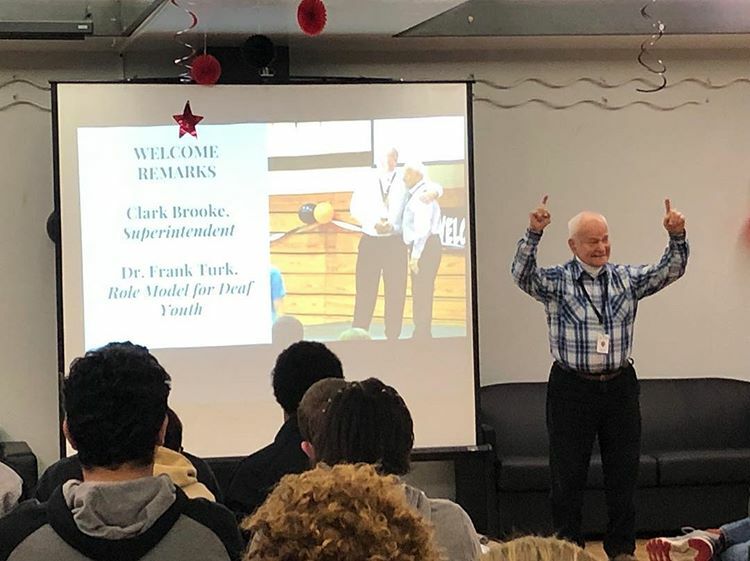 We had several inspiring Deaf community leaders give presentations, and work alongside our students, including Dr. Frank Turk! It was an eye-opening experience for everyone involved. We look forward to next year's retreat at CSDR. One of the main highlights this past January was implementing the National Day of Racial Healing on a large scale. 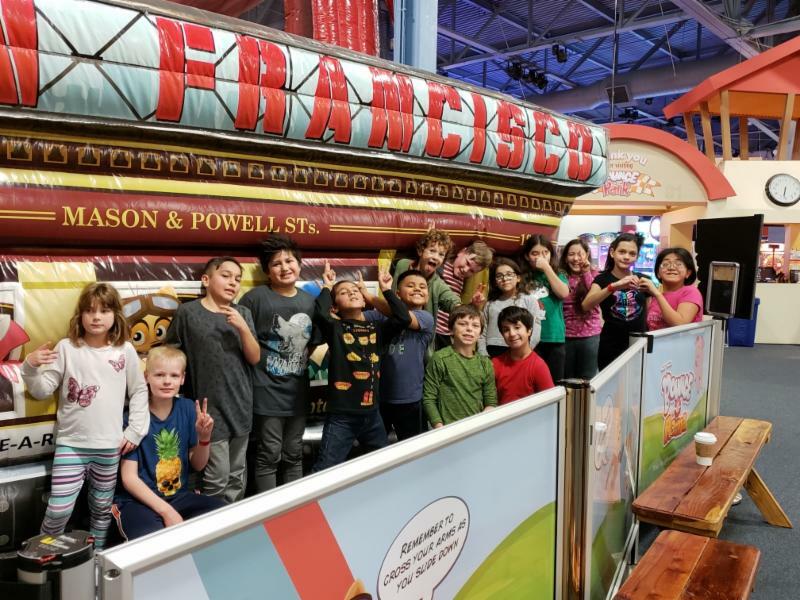 In anticipation of the event, our Diversity Club representatives wrote a letter to the City of Fremont proposing that the City make this an official day of celebration on an annual basis. 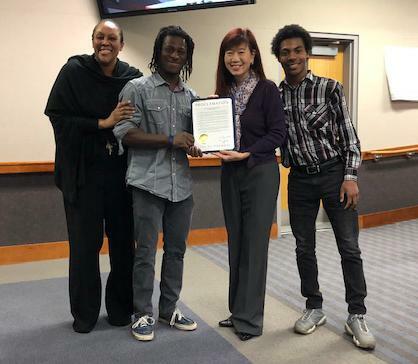 Upon receipt of the letter, Mayor Mei invited the Diversity Club representatives to the City of Commerce for a Proclamation Ceremony, as the City Council unanimously adopted the National Day of Racial Healing as part of the annual civic activities. 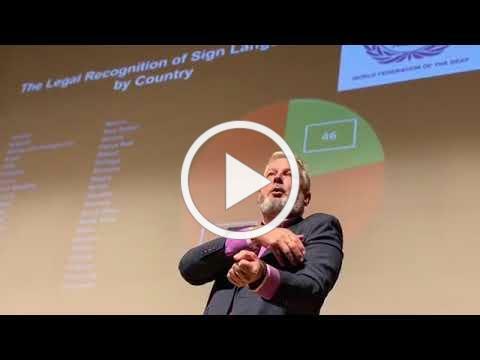 To further reinforce the importance of leadership on both a national and international level, we had World Federation of the Deaf President Colin Allen with us for a student-centered presentation. He visited our campus to talk with students and staff about the purpose of the WFD. 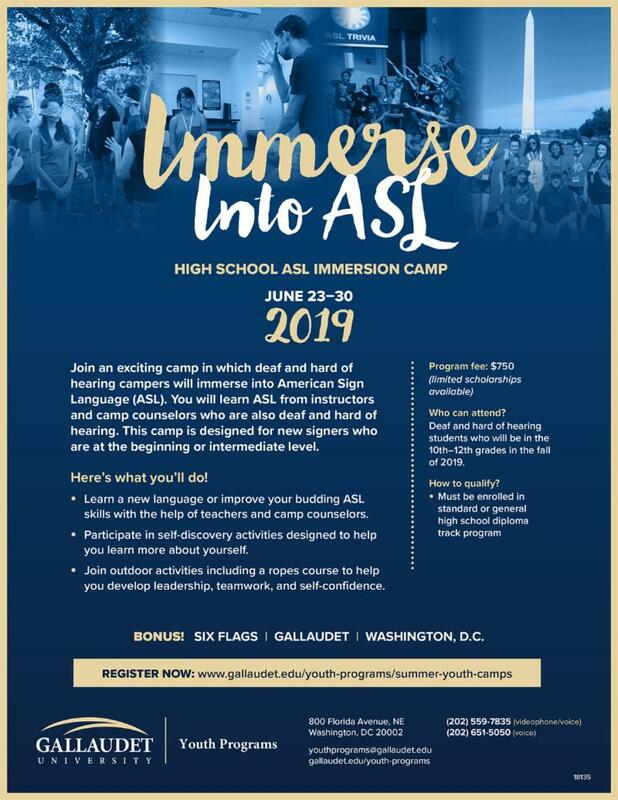 Language deprivation and language acquisition continue to be a challenge for every Deaf individual in the world, and it continues to be a central theme for the World Federation of the Deaf. Through our Relevance efforts, we have been able to partner with Google. This partnership has given our students the opportunity to do an internship at Google's corporate office, in conjunction with our career preparation program. In addition , some of our students are working at Marriott and Hyatt hotels as part of their work experience . This is just a sampling of the many work experiences that our students are having this year! 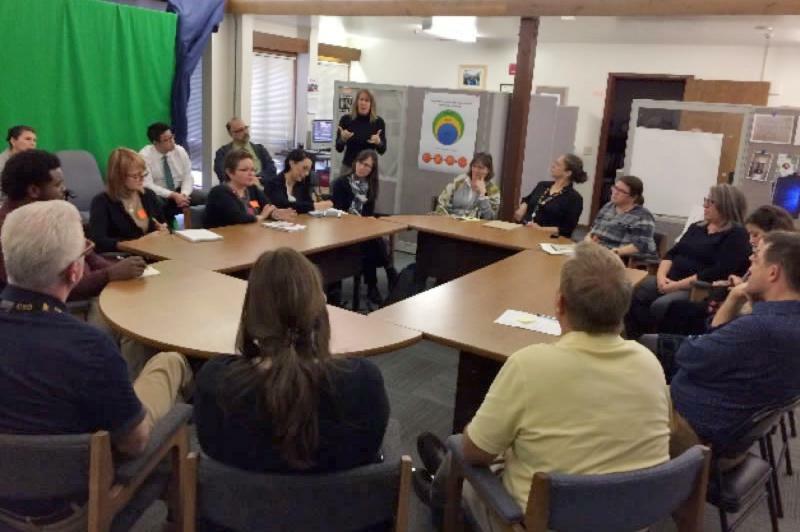 California School for the Deaf hosted an important assessment-relevant meeting with Educational Testing Service (ETS) to discuss 'assessment access' . There are assessments that are being developed by ETS that the state uses to assess students attending California public schools. Those tests are also applicable and important for our Deaf population; however, the appropriateness of the assessments and their accessibility continue to be a topic of discussion. It is very important to us that ETS, and any assessment publishers, be aware of best practices when it comes to testing Deaf students . This dialogue is going to be an ongoing discussion. The CSD Alumni Association (CSDAA) hosted an alumni forum for approximately 50 attendees. As the school leader, I was pleased to see active alumni members at the meeting offering their ideas and their time in support of the alumni organization. 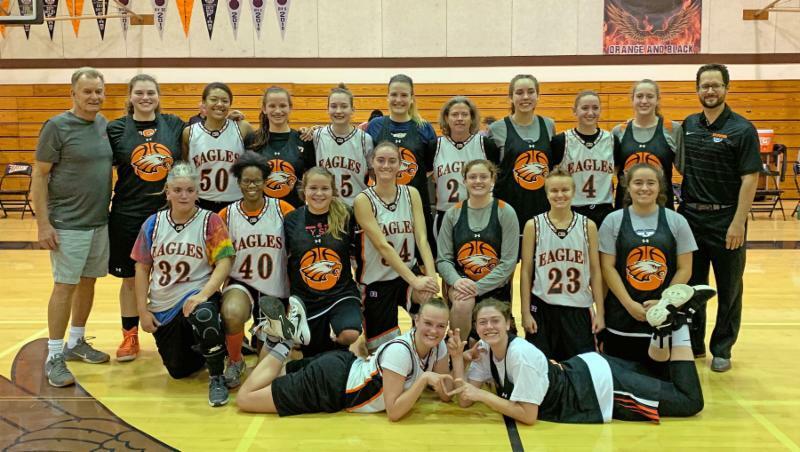 If you are a CSD alum and have a vested interest in the school, I strongly encourage you to get involved in CSDAA activities in the near future. 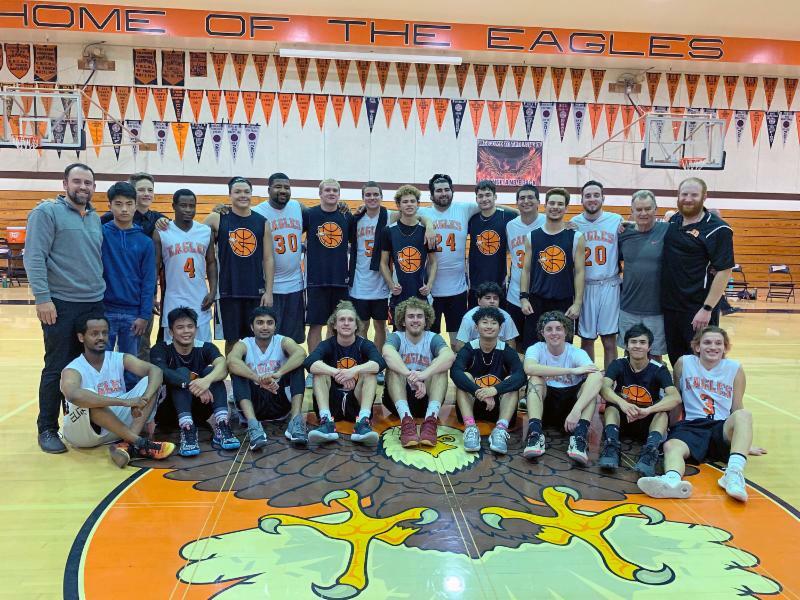 CSD relies heavily on all four of our school organizations for community events, including the CSDAA; Community Advisory Council; Association of Families, Teachers, and Counselors; and the Foothills Athletic Association. We want our school organizations to be an integral part of our school community, as we continue to carry our legacy into the years ahead. California School for the Deaf publishes 10 editions of the CalNews throughout the year. We send out monthly editions of the newsletter, except for December/January and July/August when we only send a single edition for the two months. 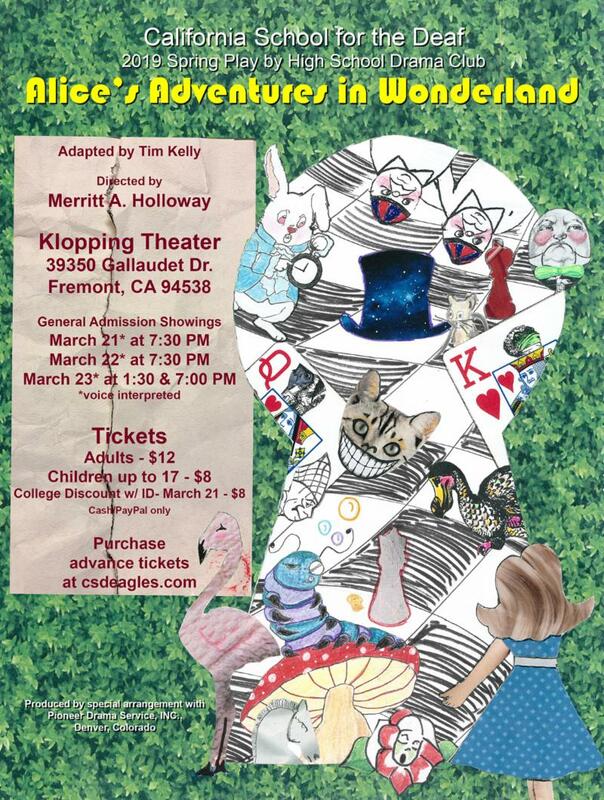 By sharing this monthly CalNews with you, it is evident that there are so many things going on at CSD! Our students, families, staff, and community members are to be recognized for their commitment towards the school’s mission , serving our students to the best of their ability. Together, we continue to create more opportunities for everyone at CSD. Leadership – It is what we do to accomplish our goals, by working together on issues that matter to our Deaf community. We can’t solve every problem on our own, but we can make progress by working collaboratively together. 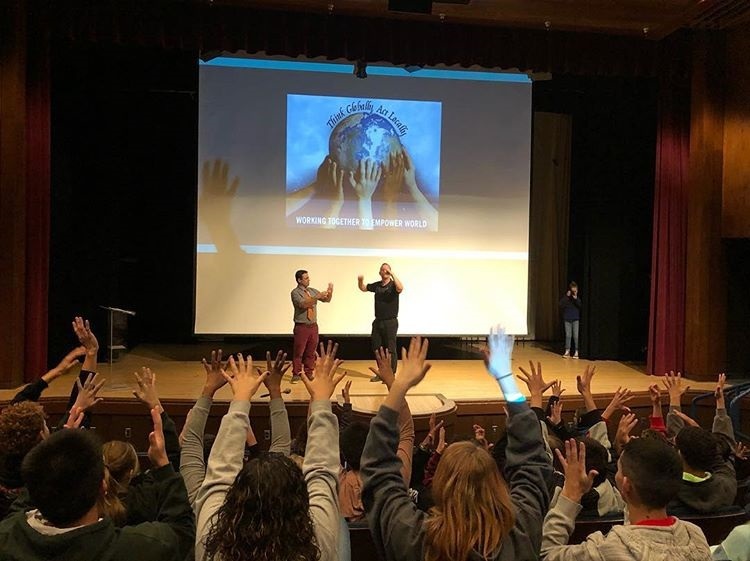 During the Leadership Weekend, students from California Schools for the Deaf (Riverside and Fremont) absorbed information from three wonderful presenters: David Eberwein, Julie Rems-Smario and Raymond Rodgers. The students split into five groups. They followed the Design Thinking – Ideation process to come up with a plan. Their collaboration was a beautiful thing to witness! 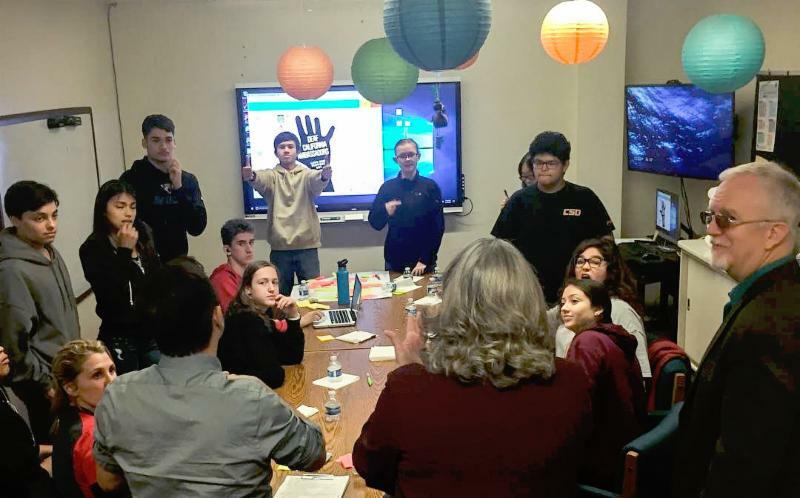 California Schools for the Deaf leadership students collaborated to produce five action plans that they shared with the Parodi Charitable Trust Board. 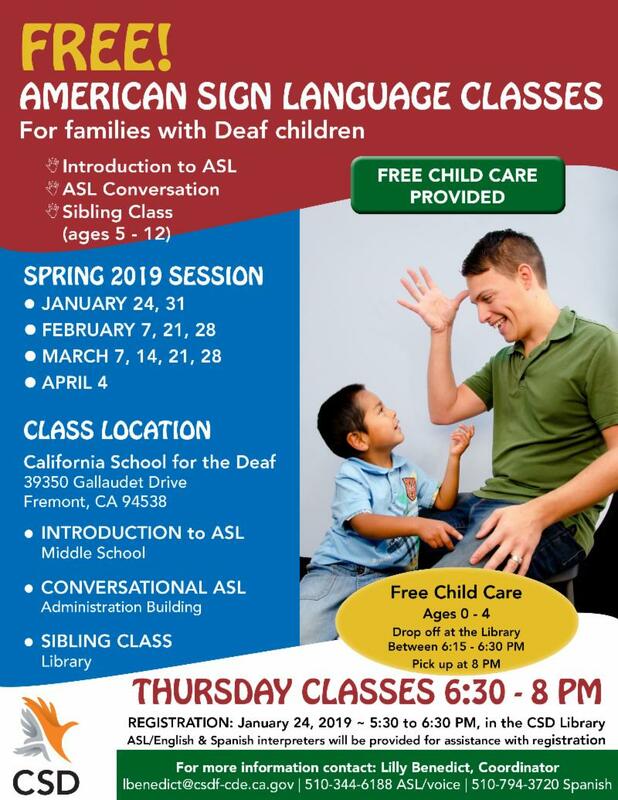 The sponsors from the Junior National Association of the Deaf will do their best to see that these action plans will be implemented, some of the action plans may start being implemented as early as Spring 2019. It was evident that we must continue to offer a leadership class here at CSD! 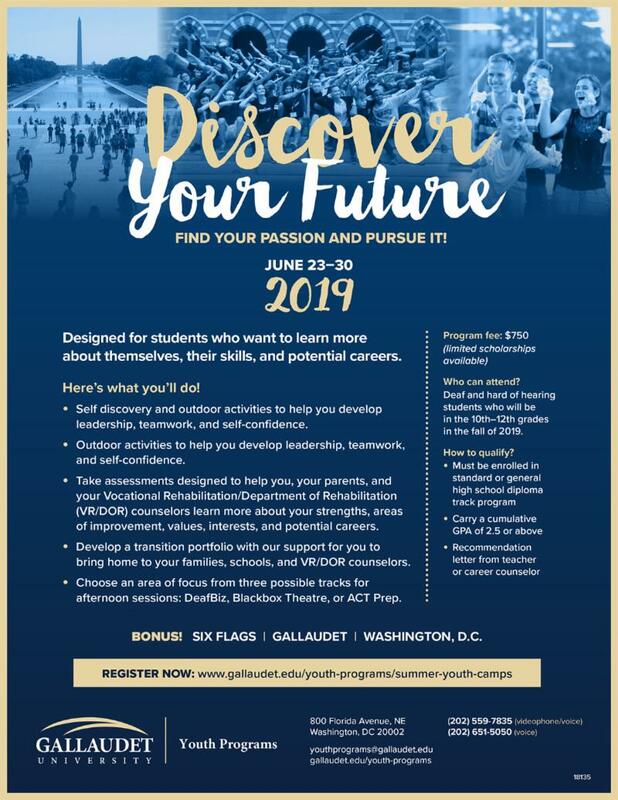 Students in the leadership class will continue to hone their skills to support and contribute to the action plans they developed at the retreat. 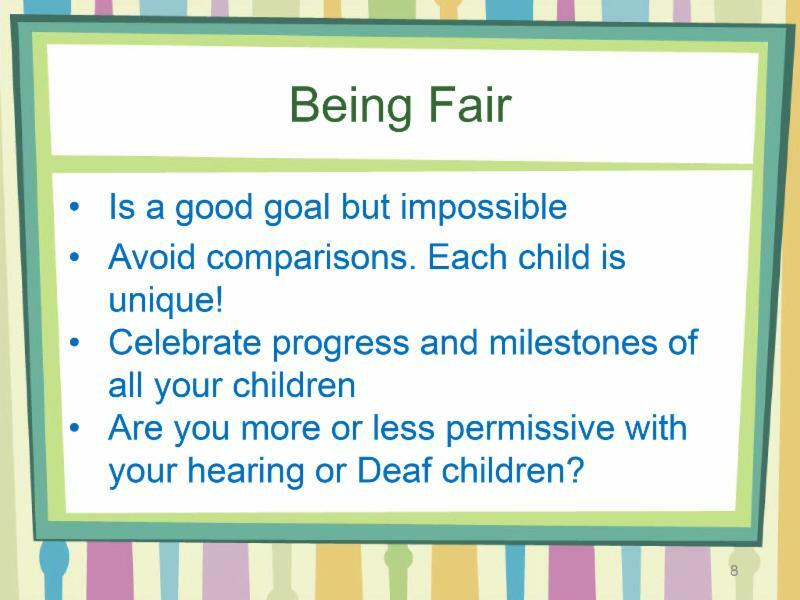 Prioritizing Deaf Education for Deaf Children – Collaborate with hospitals to raise awareness about access to Deaf Education the moment babies are born Deaf or become deaf. Deaf Color Run – Plan a 5K/10K run event to spread awareness about bilingual Deaf Education and to enhance the value of their Deaf Identities. 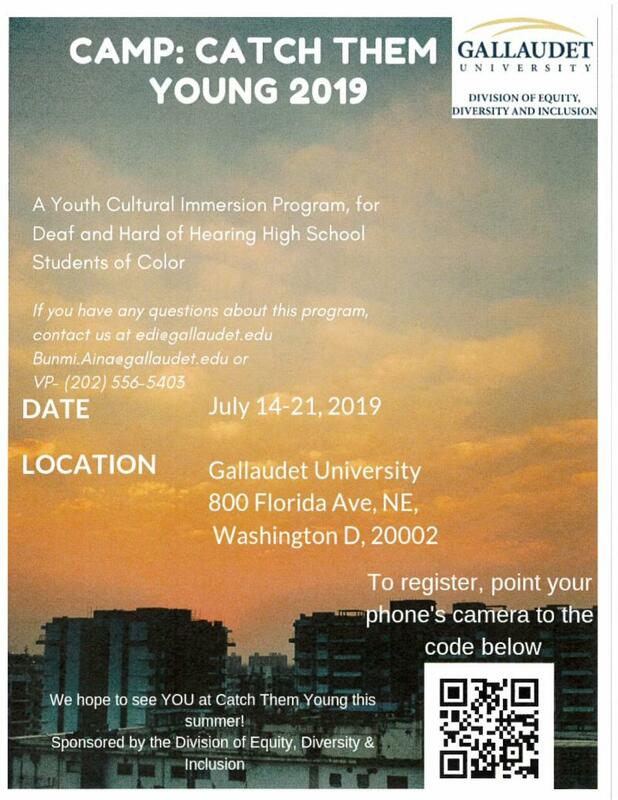 Deaf California Ambassadors – Assign or Select Student Representatives to promote the Schools and Deaf Education to families, communities, and/or visitors. 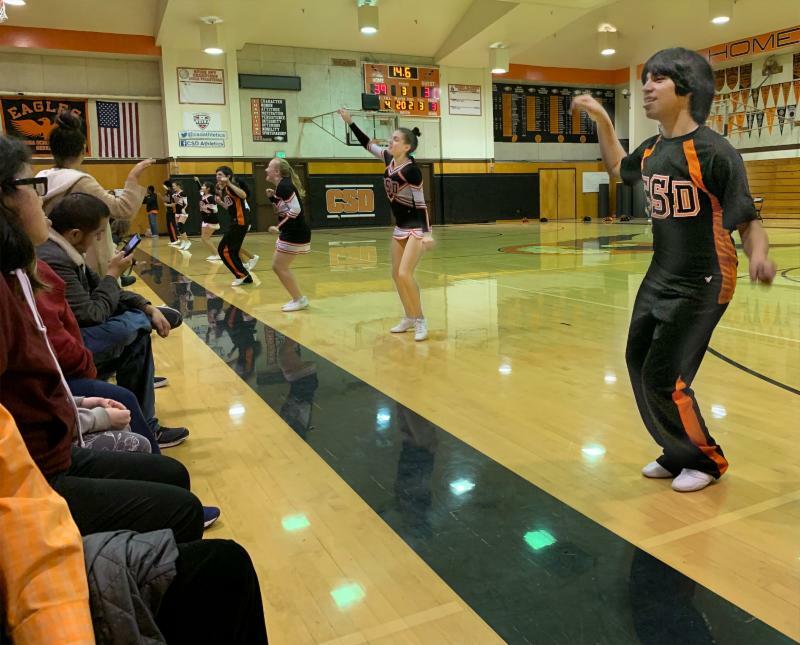 Deaf Awareness Parade – Establish a parade in Central California where both schools [Fremont and Riverside] can participate to celebrate Deaf Heritage & Pride. Deaf Showcase Talent Show ­– Attract Deaf Students to attend Schools for the Deaf and promote awareness about Deaf Education to the Community. Parodi Trustees judge the final presentations, as each team of students pitches their action plan. Trustees provided comments, suggestions, feedback and praise for all five of the presentations . National Day of Racial Healing focuses on healing our ancestors' wounds, tying the past to the present, by collectively honoring and valuing marginalized communities' existence. 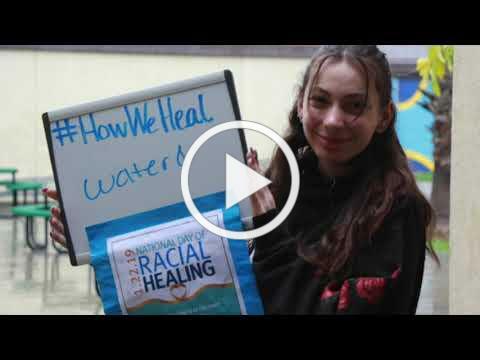 California School for the Deaf celebrated our first National Day of Racial Healing. It was a profound and beautiful day for us all. We will continue to raise awareness about race, racism, and systematic oppression by becoming critically conscious and authentic. 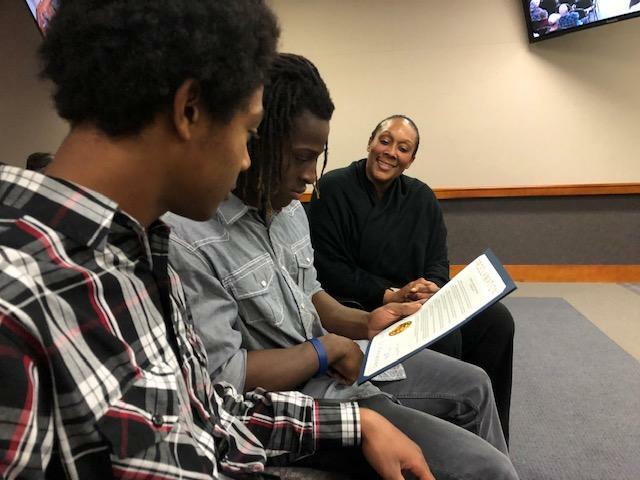 George Quirie & Samuel Brown, Ebony Club members, accompanied Liann Osborne to the Fremont City Council where Mayor Lily Mei presented them with a proclamation acknowledging that January 22, 2019 is the National Day of Racial Healing. 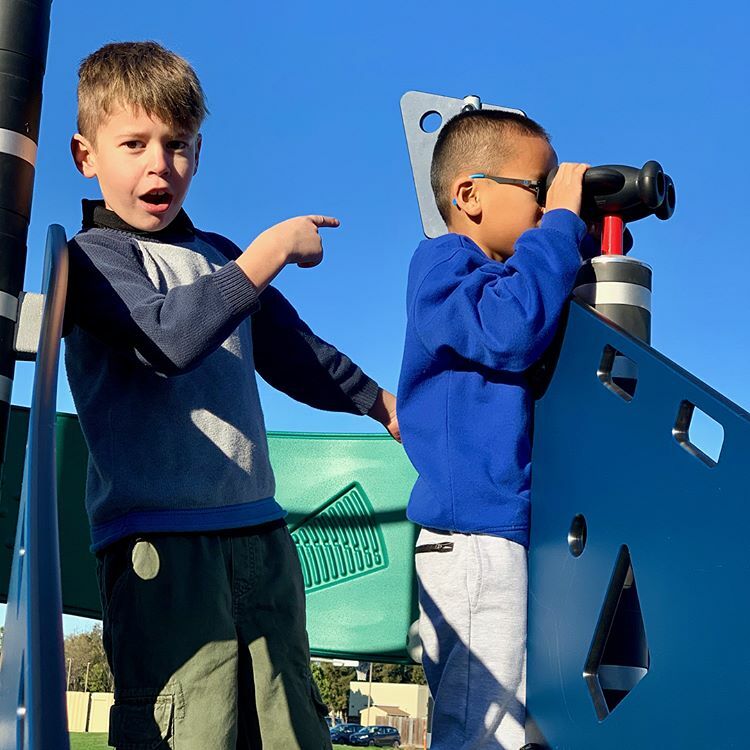 As part of the self-study (accreditation) process at California School for the Deaf, Fremont, we are inviting input from you as a valuable member of the school community. Your feedback will assist the school with the development of goals for future improvement. It is very important that you take every question into consideration and respond to the best of your ability. Thank you for being a part of the school improvement process. Colin Allen, President of World Federation of the Deaf (WFD), visited with CSD high school students. He presented about his role, what WFD is all about, and why it is so important to preserve and recognize Sign Language as a birth right. The Deaf Counseling, Advocacy & Referral Agency (DCARA) and California School for the Deaf partnered together to by bring Colin Allen to CSD. 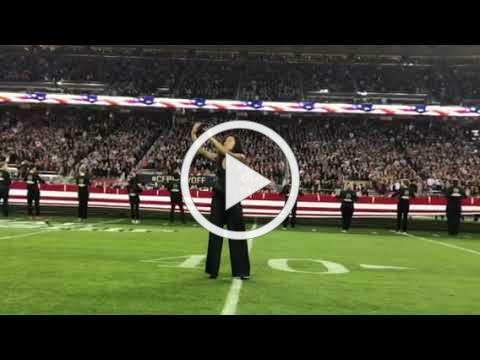 Thank you DCARA! Our former CSD-Culinary Arts Team went to Google for an interview at Bon Appétit. The students dressed their best. They practiced all of their interview questions and answers. They even remembered to bring their career portfolios to show their experience, along with their resumes and Food Handling & Safety certificates. It thrills us to share the exciting news that the entire team got accepted! Their internship will begin on May 20. 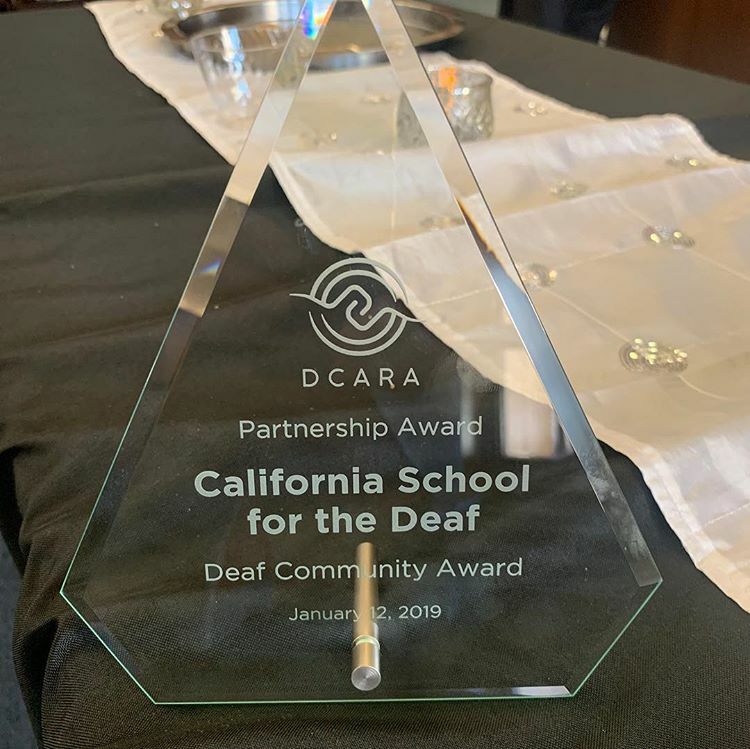 California School for the Deaf received the 2019 Partnership Award from the Deaf Counseling Advocacy and Referral Agency. 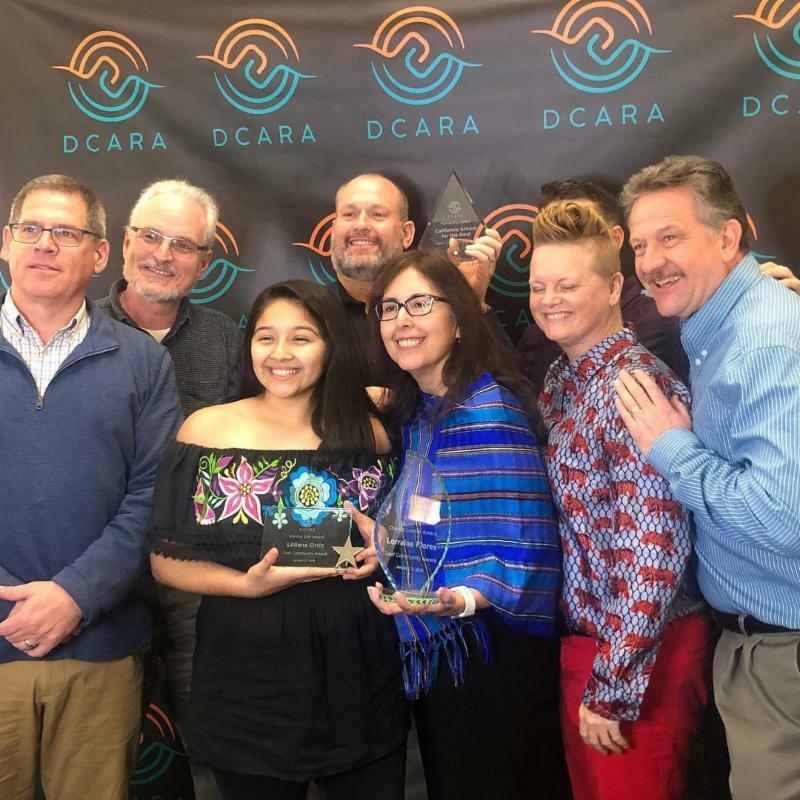 ﻿DCARA Executive Director Raymond Rodgers expressed that his organization recognizes that the partnership between DCARA and CSD continues to be strong. 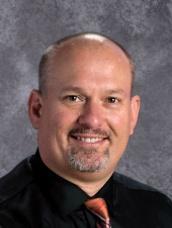 CSD Superintendent Clark Brooke was honored to receive the award behalf of the CSD Community. Liliana Ortiz received the Shining Star award. She was recognized for her leadership, and her contribution to CSD and beyond. It is obvious to us that she is going somewhere. Kudos to Liliana! The Change Agent award was presented to Lorraine Flores for her work in bringing communities together and for elevating individuals who are not that privileged by giving them access to opportunities. Well deserved! Ashley and Kaliska work with AutoCAD, finalizing measurements before submitting their project. 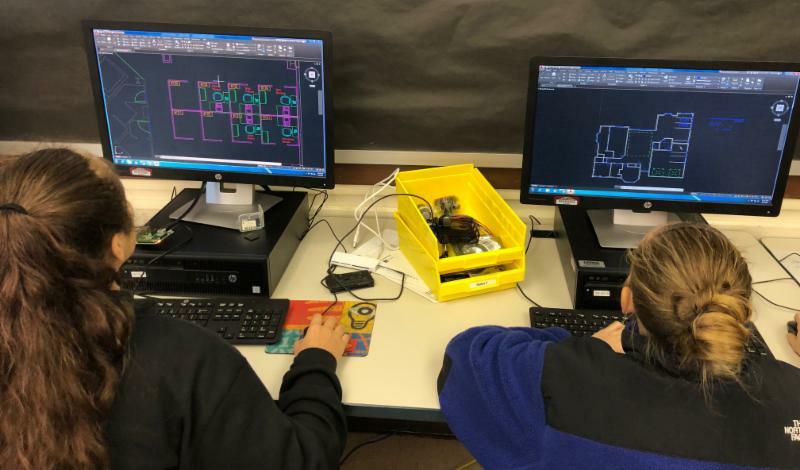 We are excited to share that our first semester kicked off with the Career Technical Education department offering three dual-credit courses, in partnership with Rochester Institution of Technology’s National Technical Institute for the Deaf. The courses were taught by high school teachers during regular school hours. 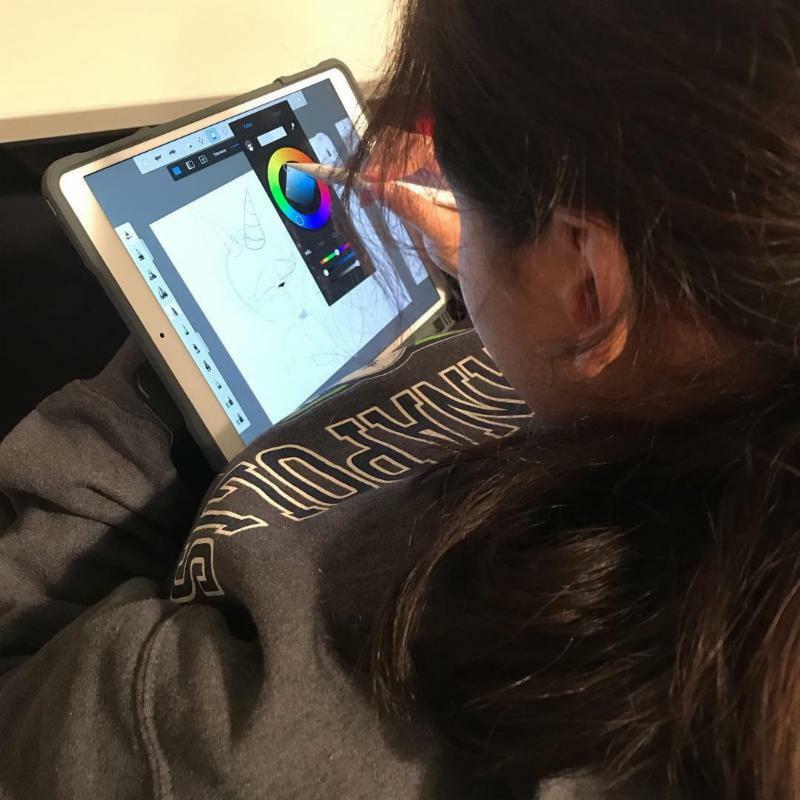 Those students who passed Raster and Vector Graphics , Page Layout I , Engineering Graphics and Blueprint Reading will receive an official RIT transcript showing their final grade for the course and the college credit they earned. —Submitted b y Jason Kulchinsky, Information Technology Teacher . 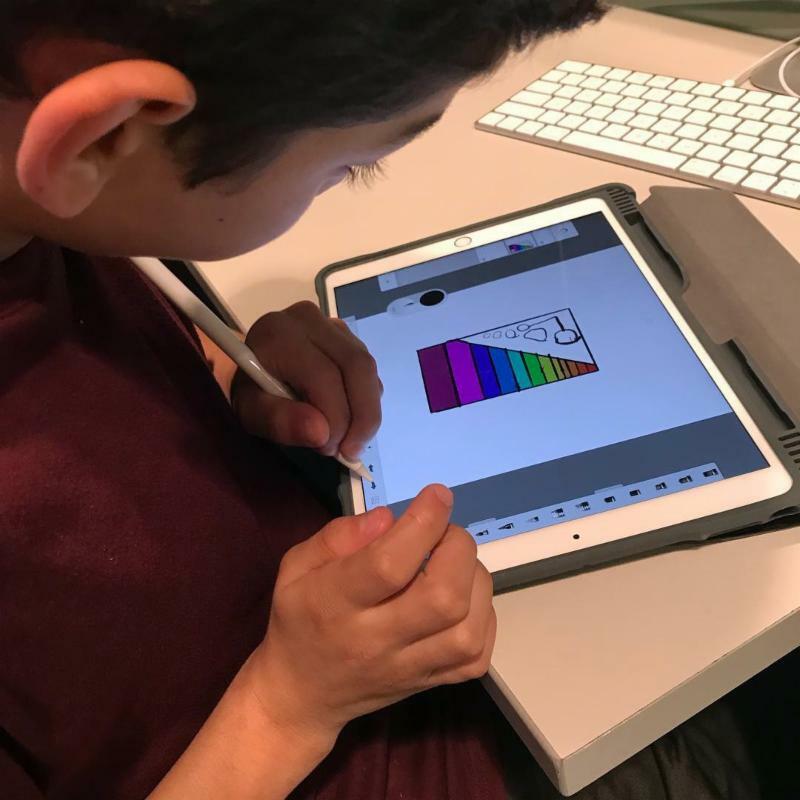 For years, California School for the Deaf has been advocating to ensure that our Deaf children in California and beyond have access to valid and reliable assessments. 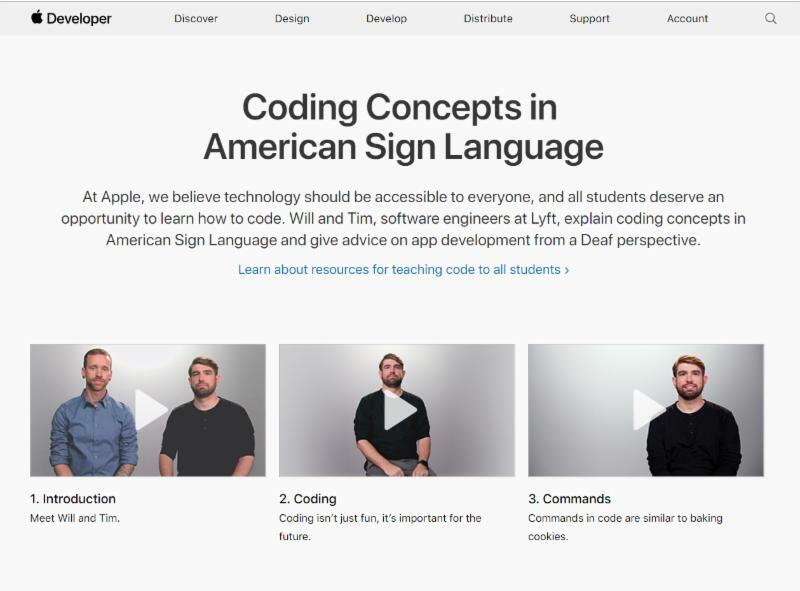 In some situations, such as state-mandated tests, it may be the provision of accommodations such as American Sign Language translation or closed captioning. In other situations, we have developed our own assessment tool such as our battery of American Sign Language assessments. The goal is always to make sure that the assessments can provide data to support instruction in the classroom. 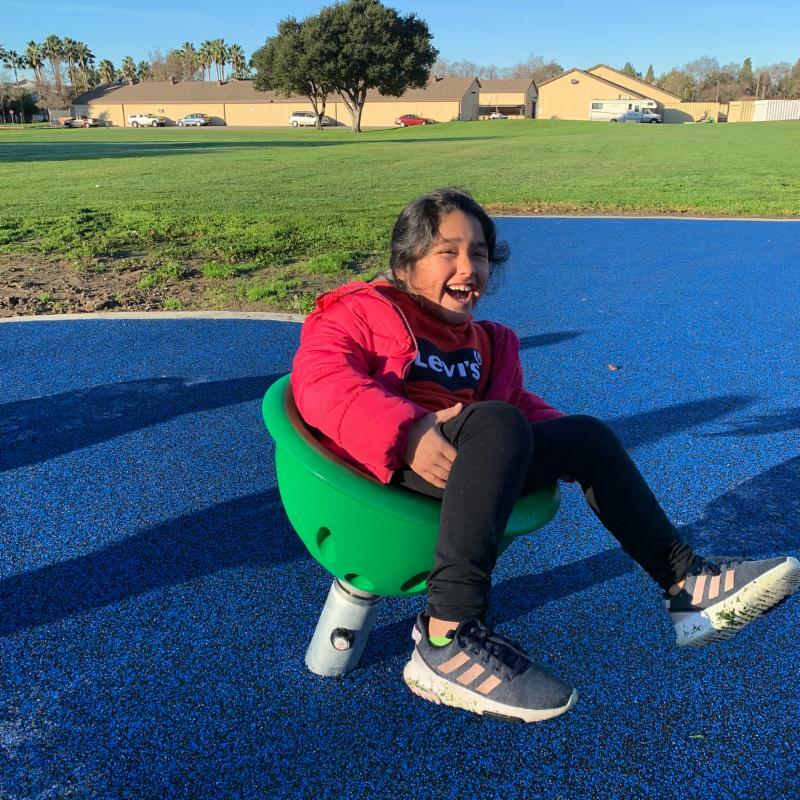 Recently, the Educational Testing Service (ETS) reached out to California School for the Deaf because they h ave a contract with the state of California to administer several assessments, including the English Language Proficiency Assessments for California (ELPAC). 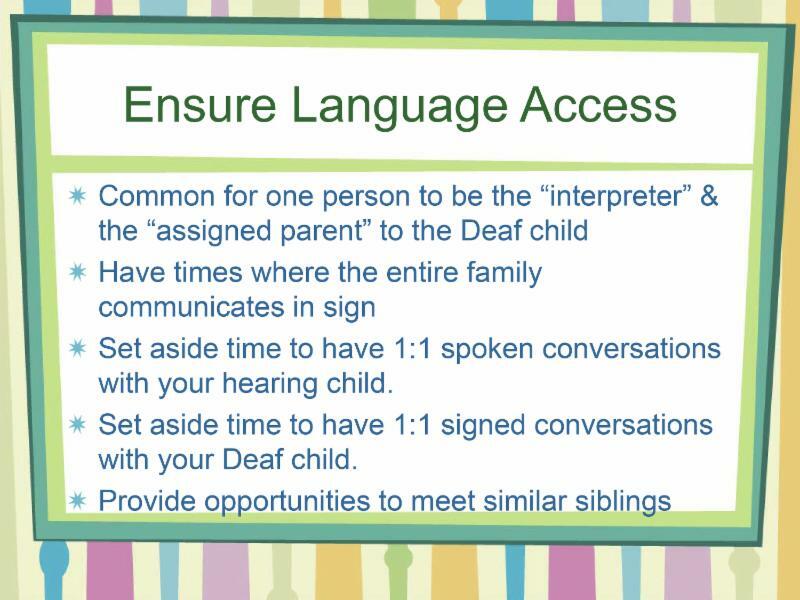 We were concerned that the speaking and listening domains of th e ELPAC weren’t accessible or valid for Deaf children. The Educational Testing Service wanted to better understand our concerns and see how our concerns may be addressed. 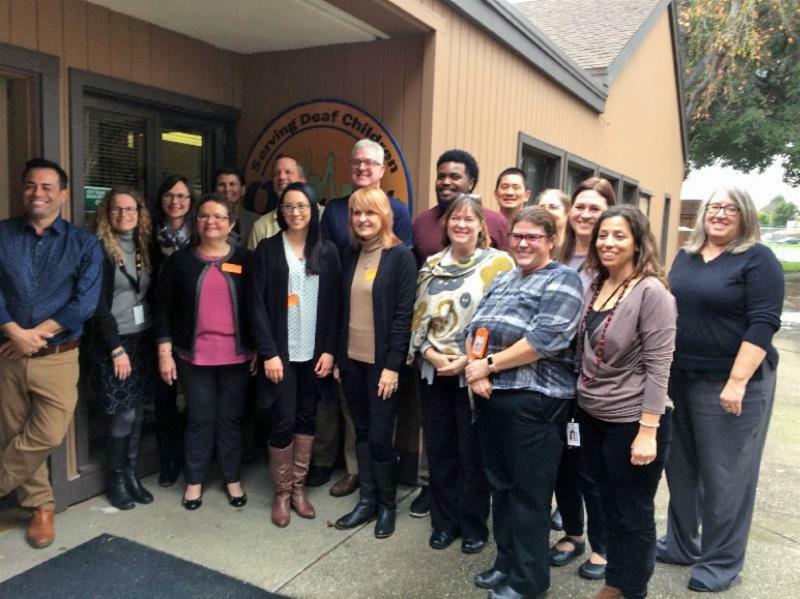 Educational Testing Service representatives came to the California School for the Deaf and met with the CORE team and some of CSD’s academic principals. 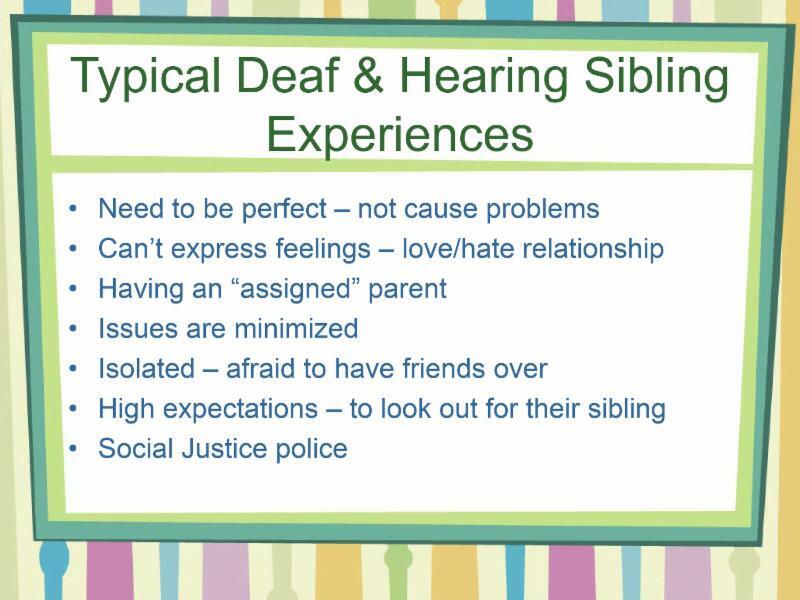 We provided them with information on language deprivation; the impact on children when they don’t share the home language of their families; and the way that there is systematic oppression of Deaf children in forcing them to take tests on skills such as speaking/listening that are not reliable measures of their abilities. We also shared the national American Sign Language standards and American Sign Language assessment prototypes, and we pointed out that current Deaf researchers are expanding scientific fields. 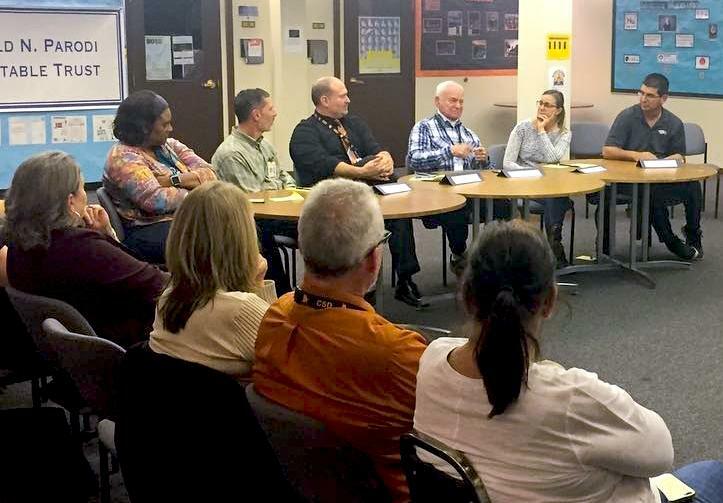 By the end of the meeting, the Educational Testing Service participants stated that the issues are more complex than they had originally imagined, and that they were interested in continuing the conversation both within their team and with the California School for the Deaf. 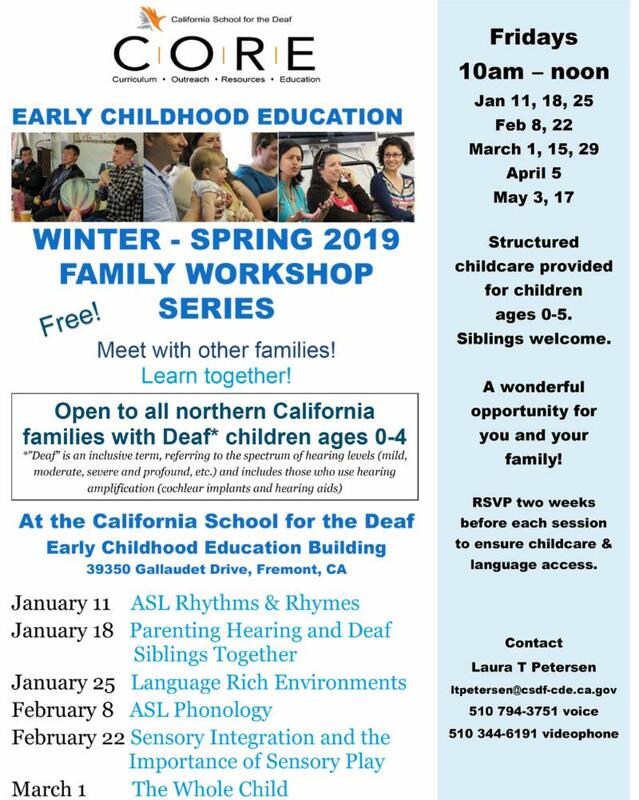 CSD will follow up through regular meetings with the Educational Testing Service; and the ETS plans to return for a tour so that they can see Deaf bilingual pedagogy in action! For more information about our position on the access to valid and reliable assessments, please contact: CORE Supervisor David "Dave" Eberwein. Elementary has 27 residential students (and growing!). Each student earns merits for demonstrating positive behavior in the cottage. 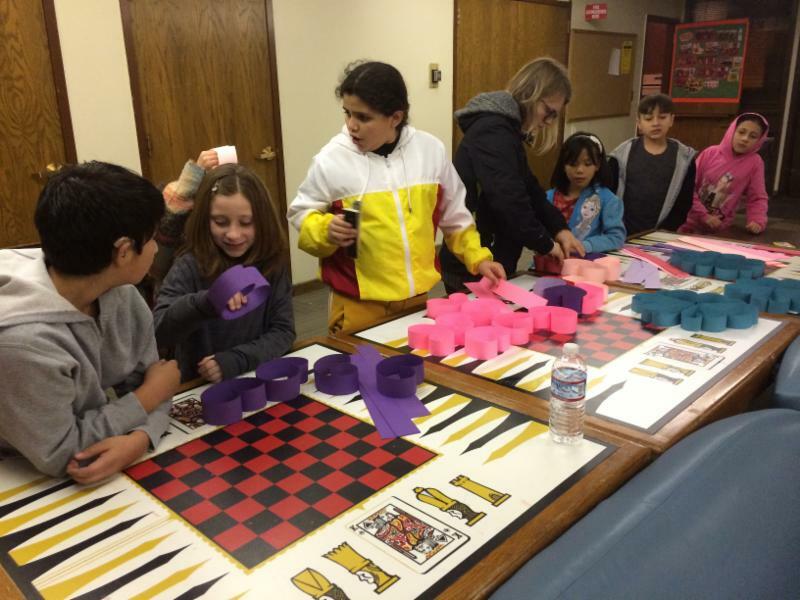 Every two weeks, the students vote on a location to reward themselves to a fun-filled activity. 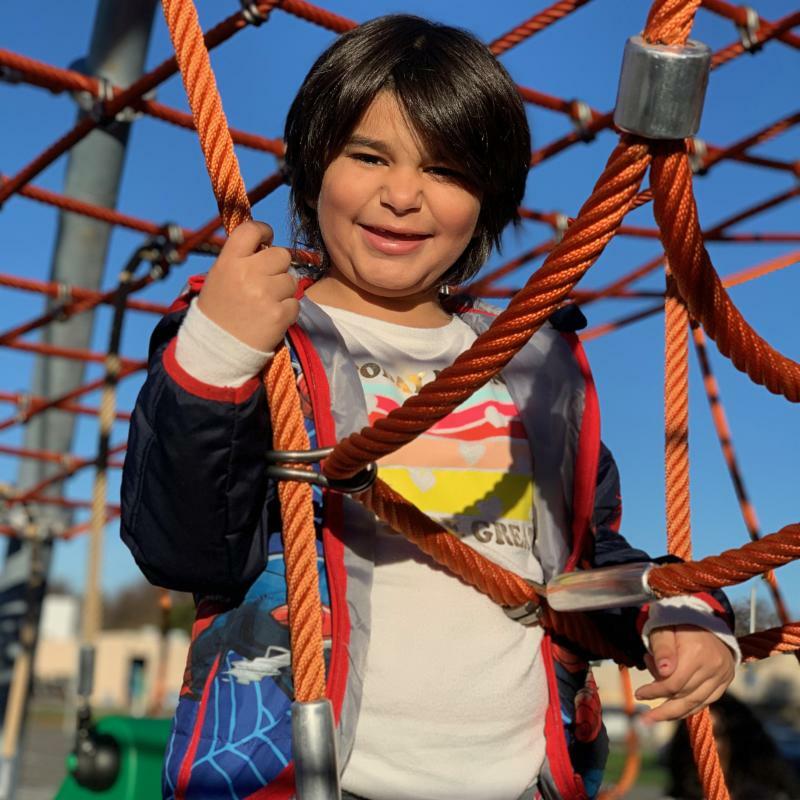 The students happily celebrated by exhausting themselves at Bounce-A-Rama, where bouncers can race through challenging obstacle courses, explore hidden paths, and conquer two story slides. The kids had a blast and wish to go back again next year! Our Valentine’s Day Party is just around the corner! Each month, we celebrate with a themed party. 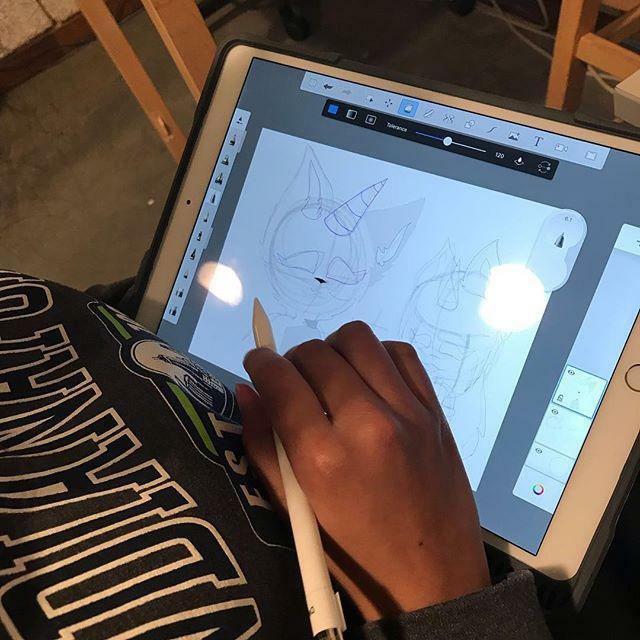 But how do we make the party look beautiful? We have an evening where we do arts and crafts to make the decorations. Four booths were set up to make various items for our party. 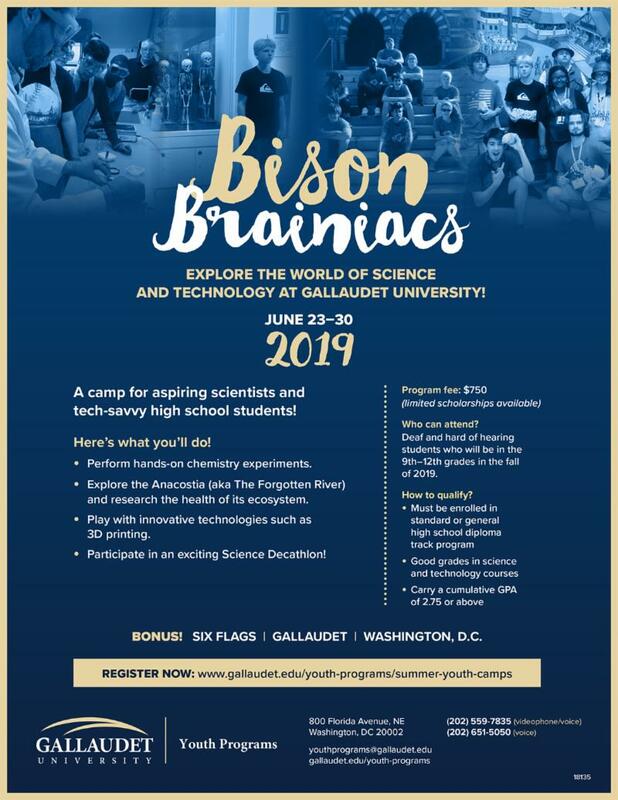 We invited high school residential students to help with ideas. This provided a way for the high school students to earn their community volunteer hours. The elementary students enjoyed the presence of the high school students and they developed bonding time. Memories were shared with each other, as residential students here at California School for the Deaf. It was fun watching our ladies game! 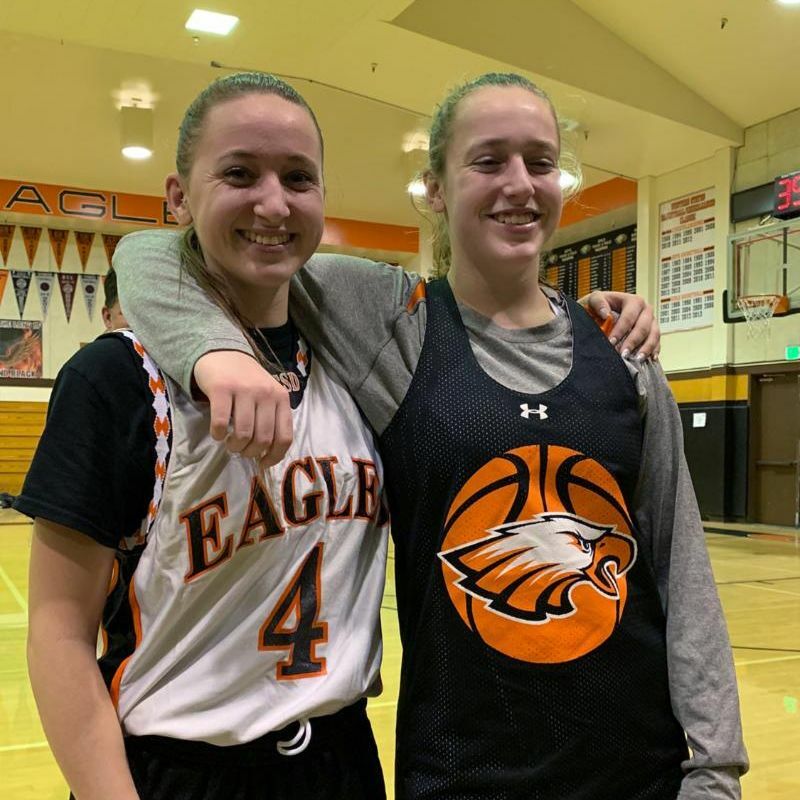 There were several family members playing against each other: sisters (Milana/Talia) and (Farrah/Chloe); along with mother and daughters (Vi and Jada/Jade). What a close game! 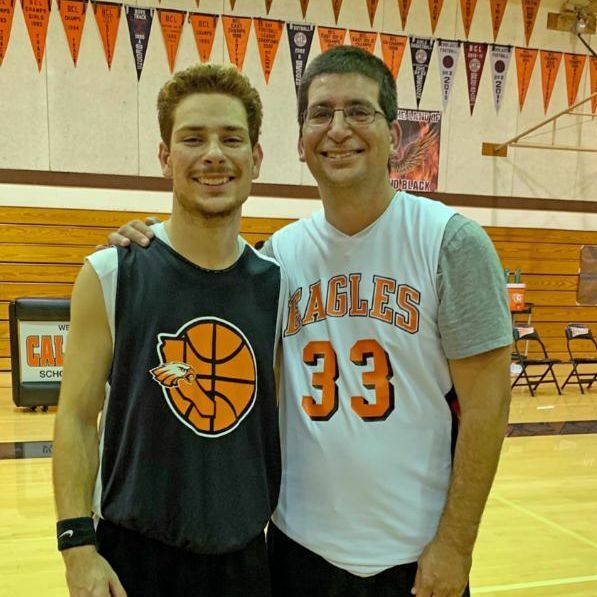 Family members playing against each other were: father/son (Kevin Bella/Luke) & brothers (Esau/Enos). It was fun to watch! The tentative date for our CSDAA Reunion is June 2020. Jeff Buckmaster and Bonnie Jo Morrison will be the co-chairpersons for the CSDAA Reunion. Melissa Arellano will be our secretary. 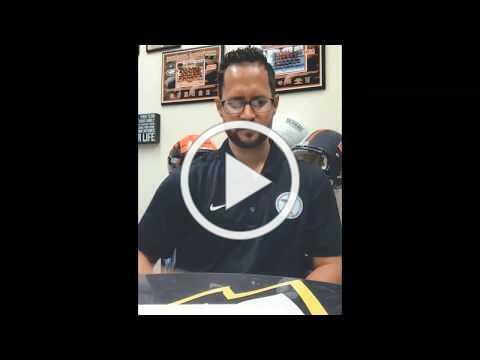 Tom Murillo will do the newsletter. More information will be shared soon. Students performing our Eagle Fight Song and cheering for the fans. What a great turnout it was! Thanks to Clark Brooke and his cabinet for their encouraging words. Please join us in congratulating these fantastic individuals! 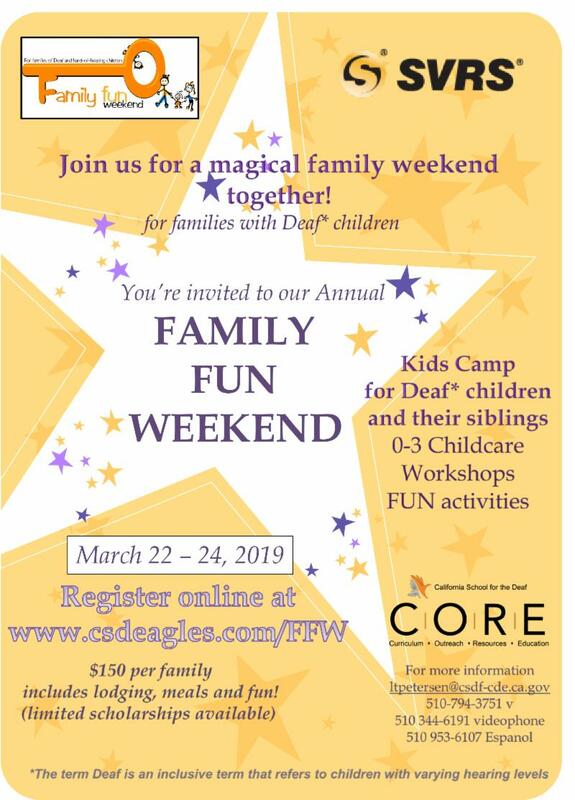 CSD will host it’s 7 th annual Family Fun Weekend on March 22-24, 2019! 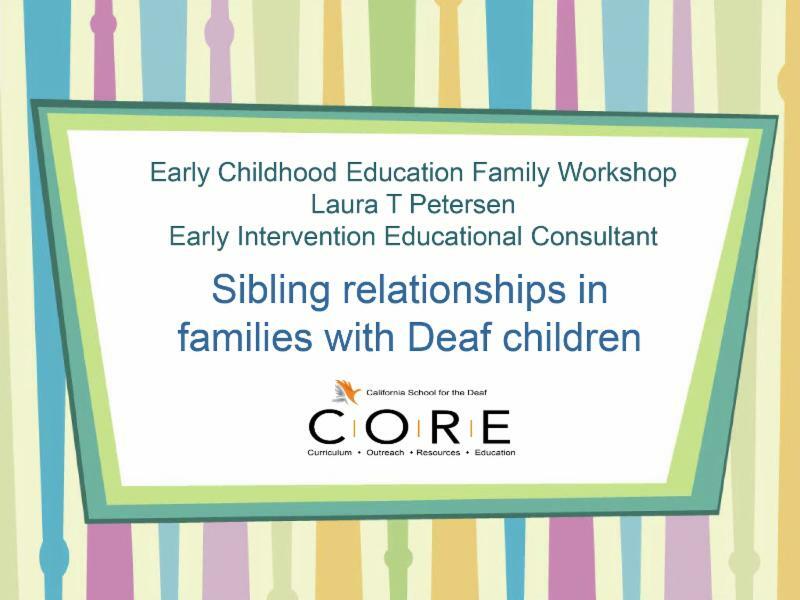 This is a wonderful opportunity for families with Deaf children to engage with other families and Deaf professionals. 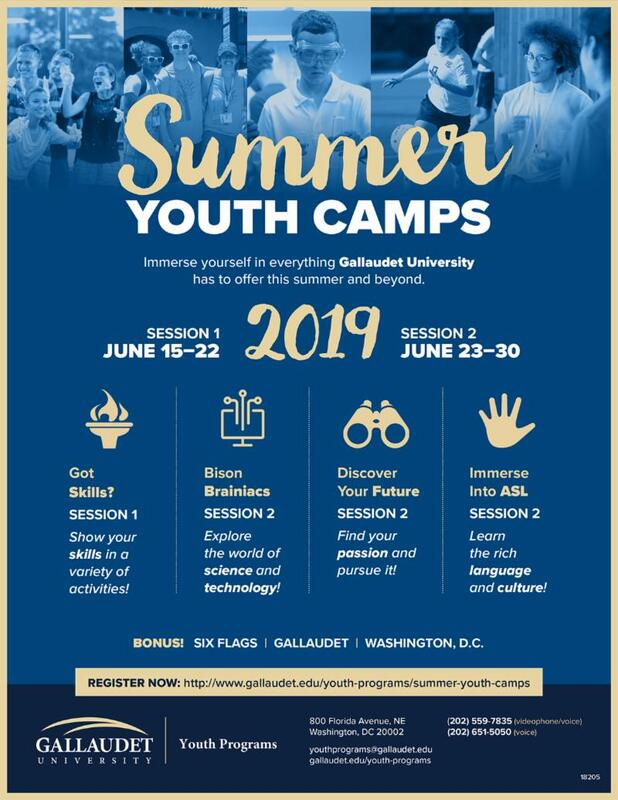 While the adults attend fun and informative workshops, their children, ages 4 and up, attend Kids Camp with other Deaf children and their siblings. Childcare is provided for children under 4. The weekend is a wonderful experience for everyone! 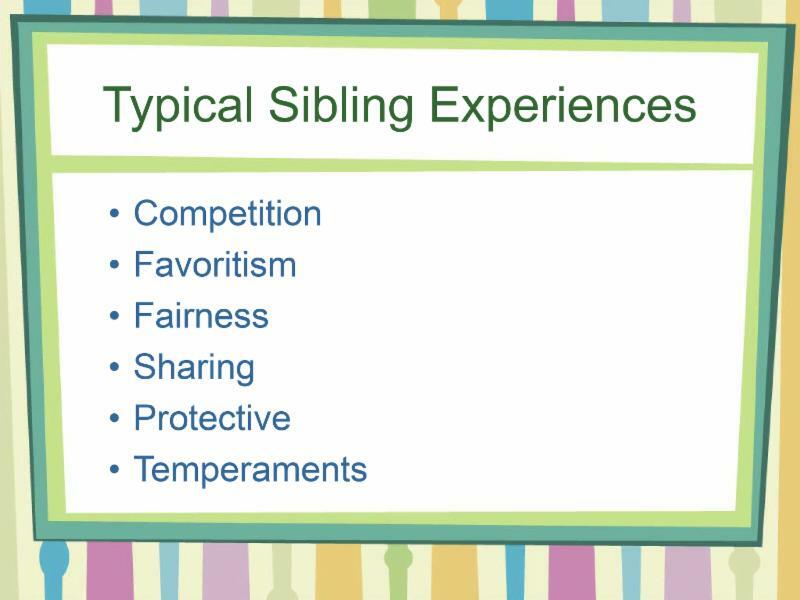 Siblings realize there are other siblings like them, and Deaf children make new friends while interacting with Deaf role models. 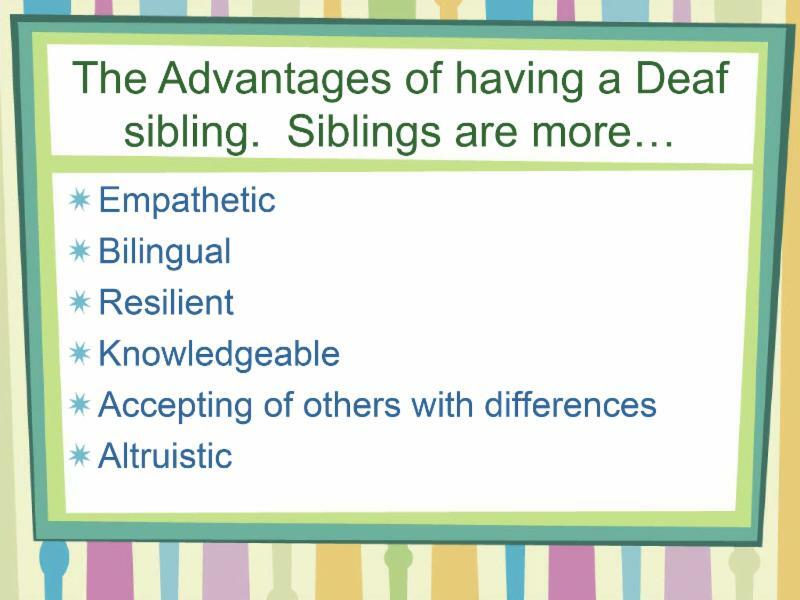 "My child made new friends with other Deaf kids in a signing environment." 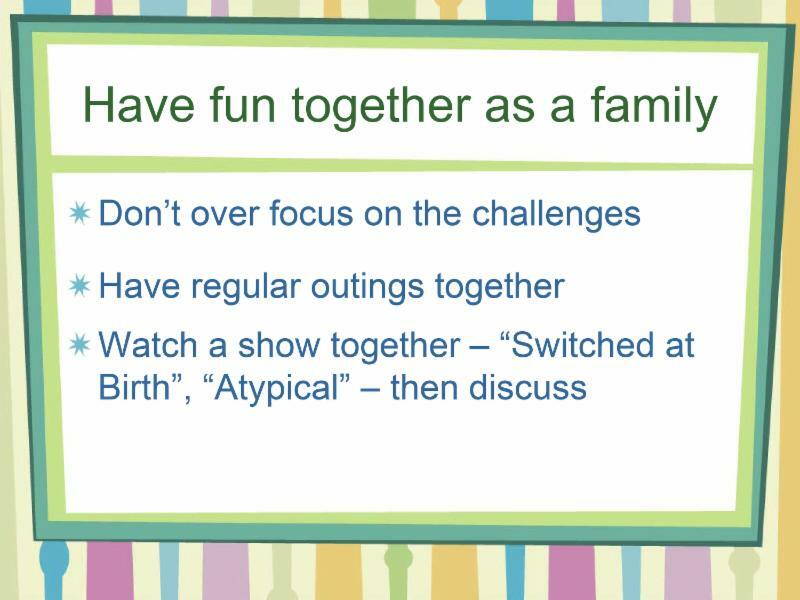 "I was able to attend workshops while not worrying about my kids since they were having so much fun." 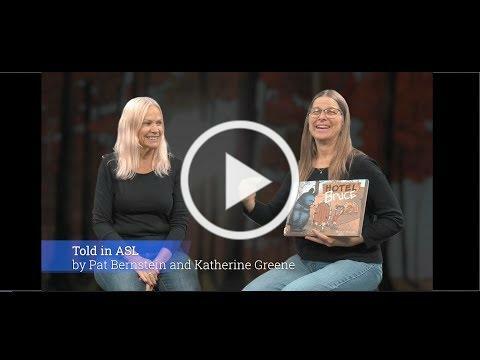 "I learned ASL with lots of hands-on activities." 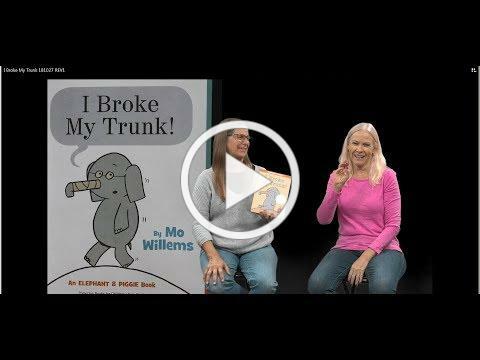 "We learned about the many opportunities for our Deaf children." 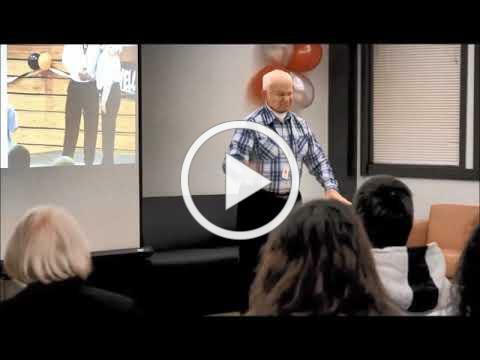 "I was inspired by the Deaf leaders." "My kids want to come EVERY year!"